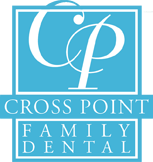 Crosspoint Family Dental is the leading provider of veneers in the Westford, MA area. Veneers are thin pieces of porcelain or plastic, cemented over the front of your teeth. Veneers are used on teeth that are discolored, chipped, oddly shaped, unevenly space or crooked. Veneers have a longer life expectancy and color stability than bonding and highly resist permanent staining from common things such as coffee, tea and cigarette smoke. There are two types of veneers. It is generally used to improve the tooth appearance but is occasionally used to protect the tooth surface. Direct Veneers – A direct veneer is built over the tooth surface by hand. This is usually referred to as bonding. This is most commonly done using a composite resin, identical to the tooth color. This is a more simple procedure and can be done in a single appointment. Although this is a less expensive technique, they do tend to deteriorate more quickly. Indirect Veneers – An indirect veneer is fabricated in a dental laboratory and is generally constructed from porcelain. During the first appointment, teeth are prepared, impressions are taken and the teeth are given a temporary coating. After two to three weeks, the veneers are back from the dental laboratory and the temporaries are removed. This is when we bond the veneers to the teeth. Many choose veneers over crowns because much less tooth material is removed and the procedure is more comfortable. With the experienced team at Crosspoint Family Dental, we are able to provide the top services, including veneers, to all of our patients in and around Westford, MA.